NEW PRICE! Love your samples? Ready for your big project? So are we. Order your sheet of SparkleLam™ now! 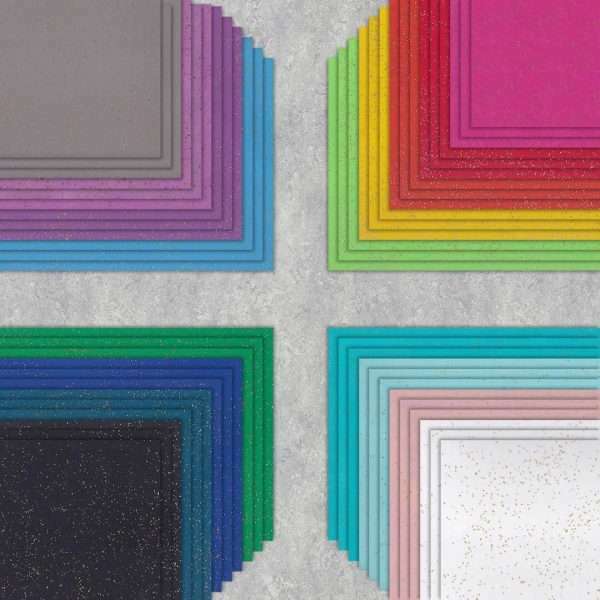 Our SparkleLam™ is the culmination of more than a year of testing, trying to replicate the original glitter laminate to appear as close to the original as possible. Our product comes with a satin finish in industry grade 0.040” thick laminate with sanded back which can be utilized both horizontally or vertically. (Please note that this is not a flooring product.) Our sheets are 4’x12’, big enough and long enough for a number of projects. Note: This product may not be used for post-forming. For our installation and care instructions, click here. Yes, we know. A 4’x12′ sheet of laminate is a lot more laminate than some people need. If you’d like to share a piece of laminate with someone else (and each receives a 4′ x 6′ piece of the same color and inclusion) check out our SparkleLam™ Matchmaker Facebook group. If you are an individual or business who would like to purchase 10 or more sheets, please contact us. Note: Laminate fulfillment takes 4-6 weeks. Please plan accordingly.